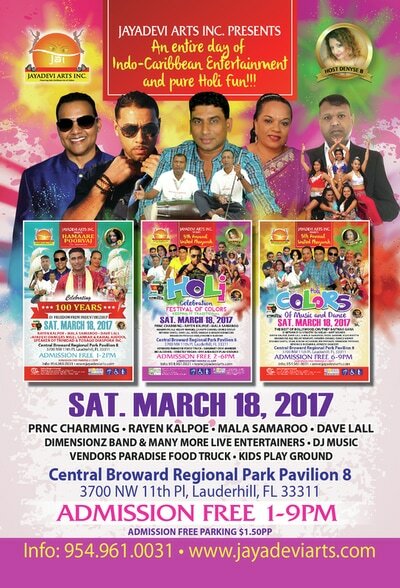 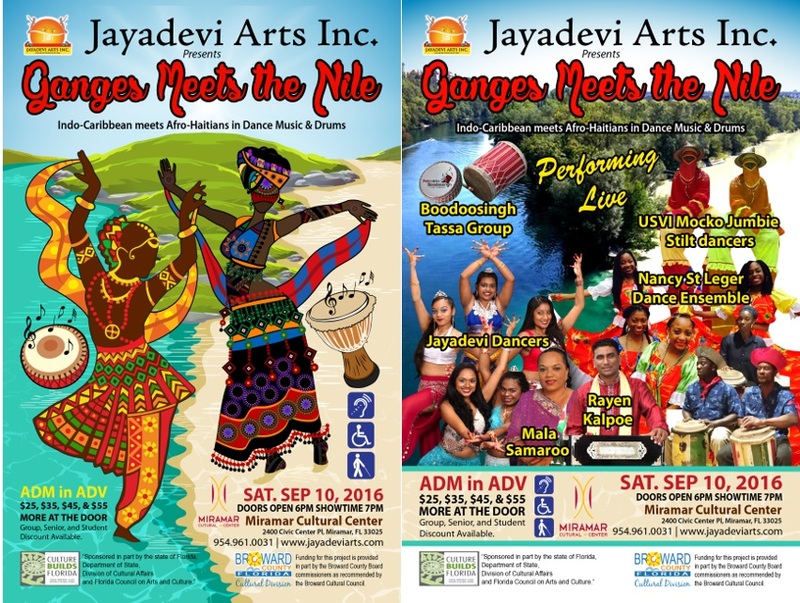 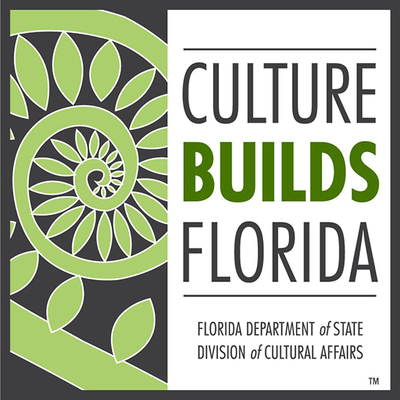 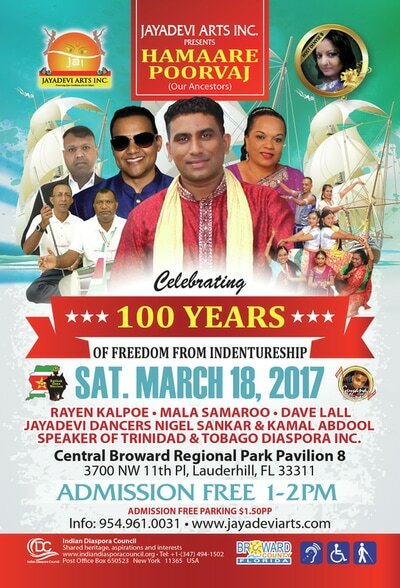 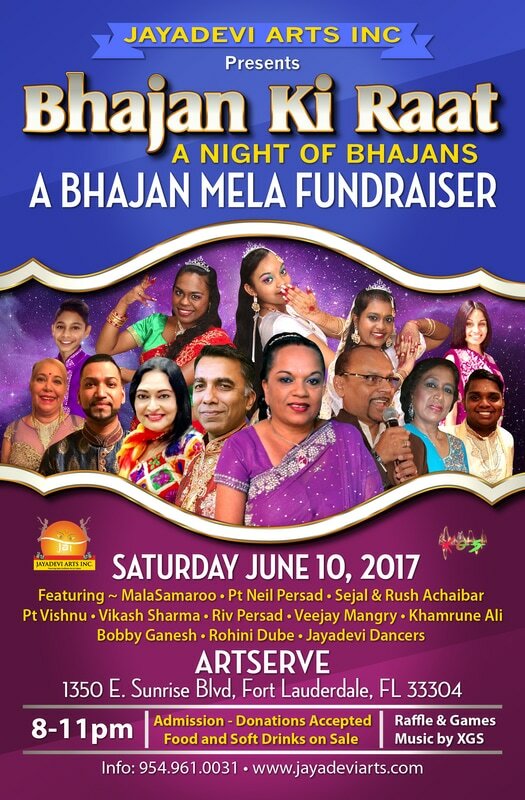 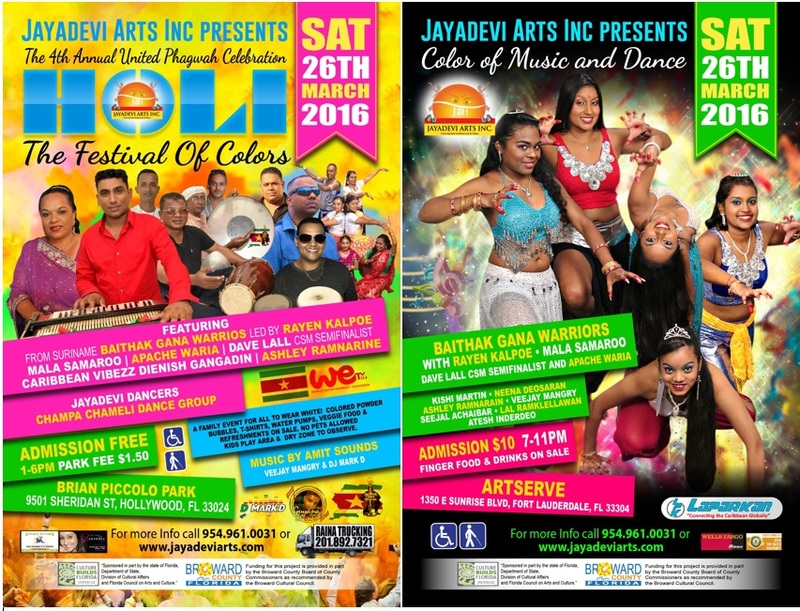 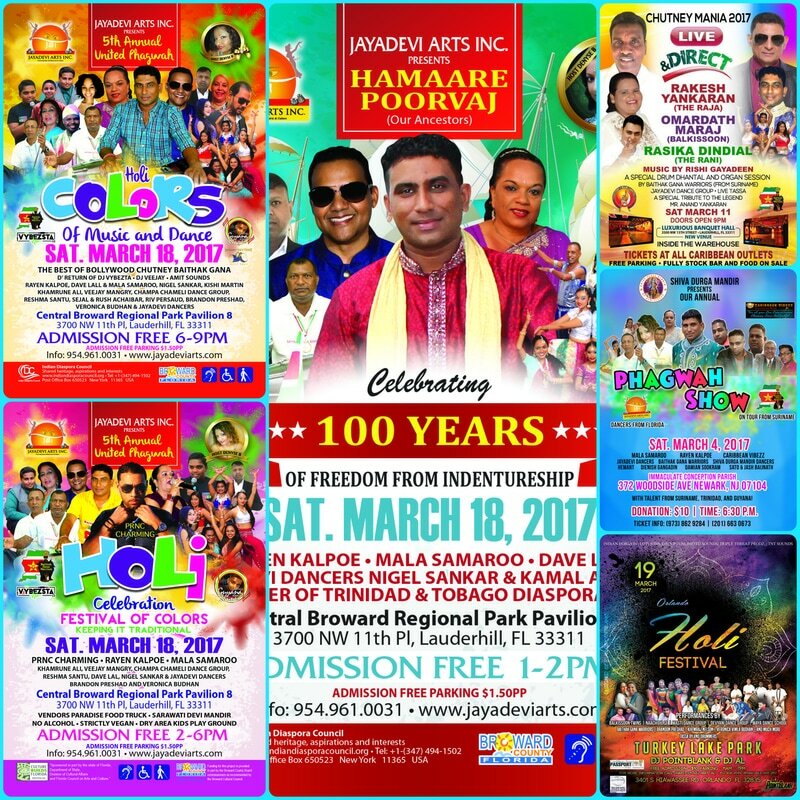 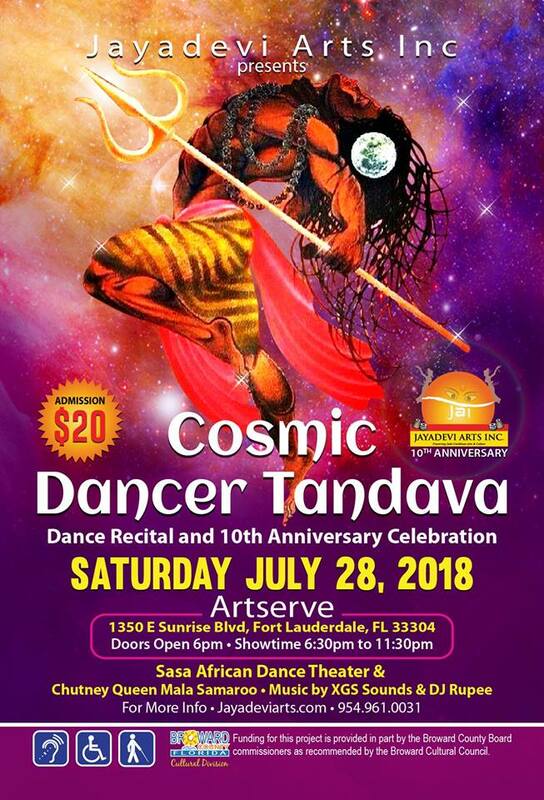 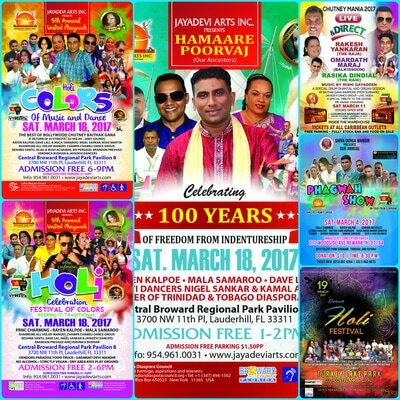 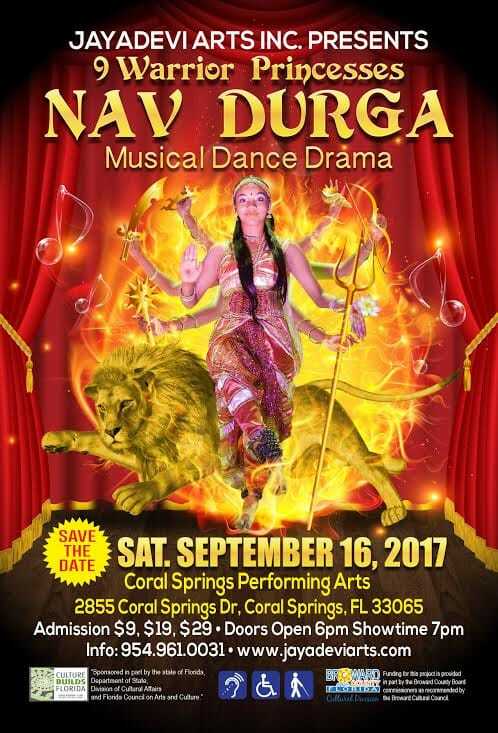 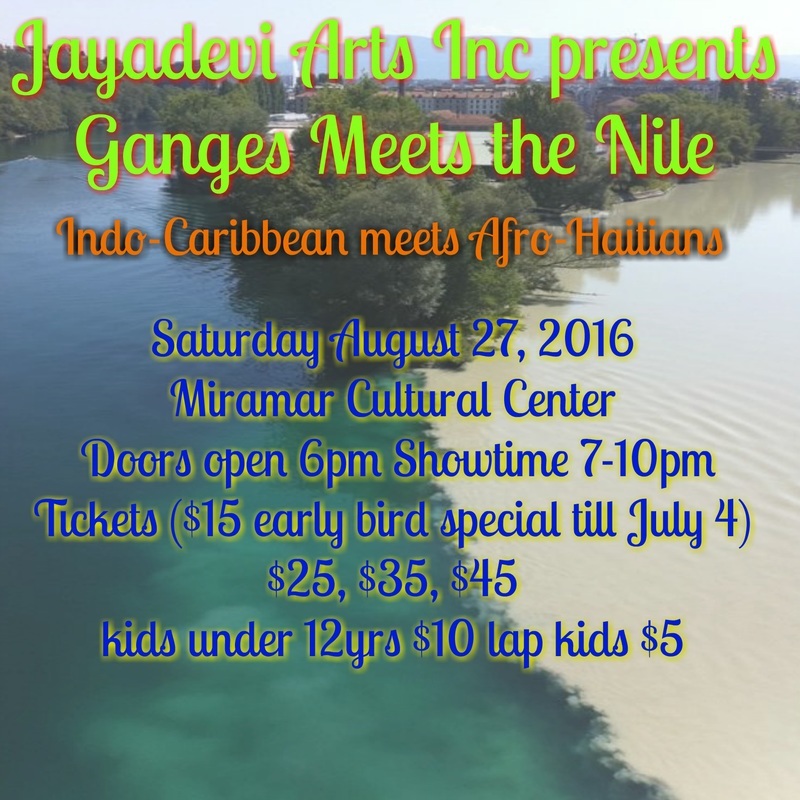 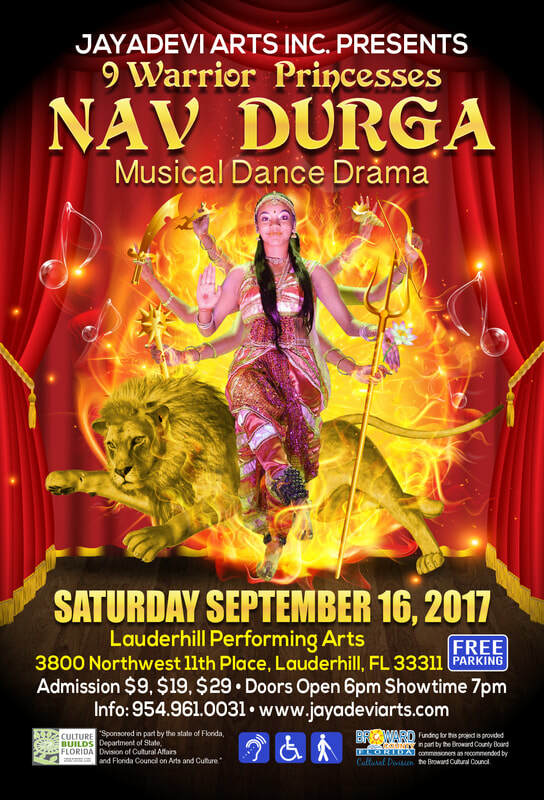 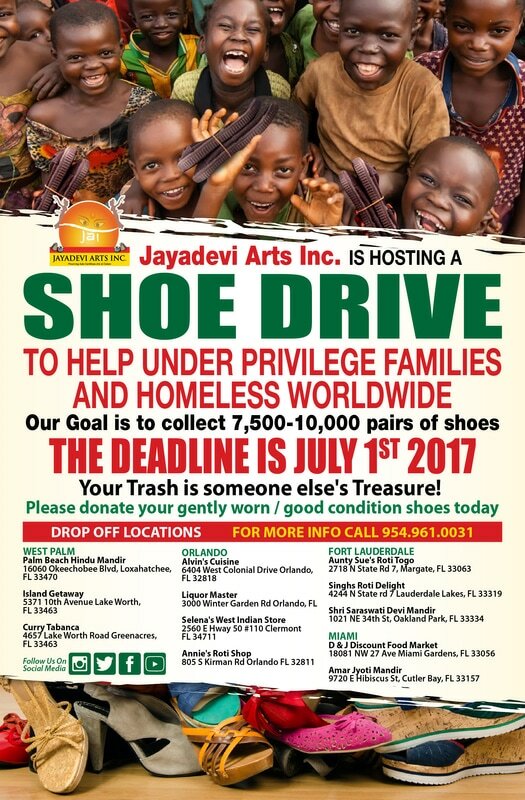 JAI Upcoming Events - J A Y A D E V I Arts Inc. - "Preserving IndoCaribbean Arts & Culture"
Lauderhill, FL – Sunday February 11, 2018 at Central Broward Regional Park Pavilion 8, 3700 Northwest 11th Place, Lauderhill, FL 33311. 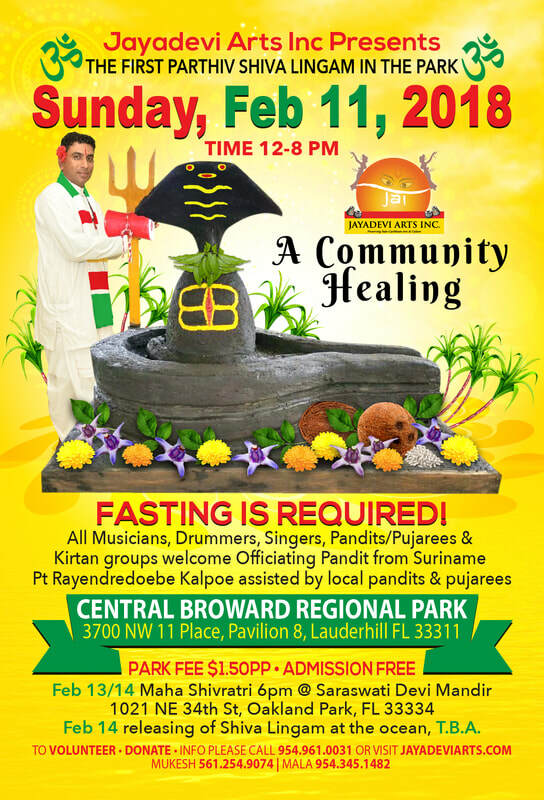 12-8pm. 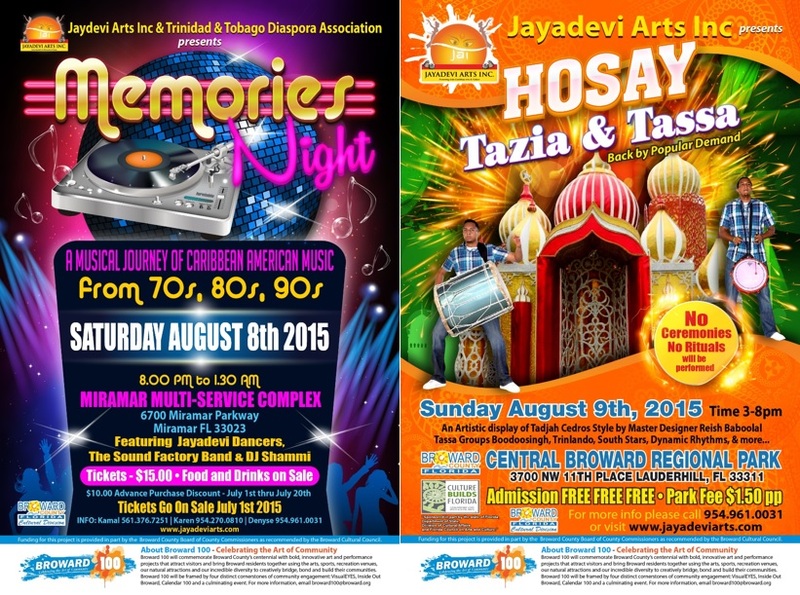 Vegan food and soft drinks complimentary. 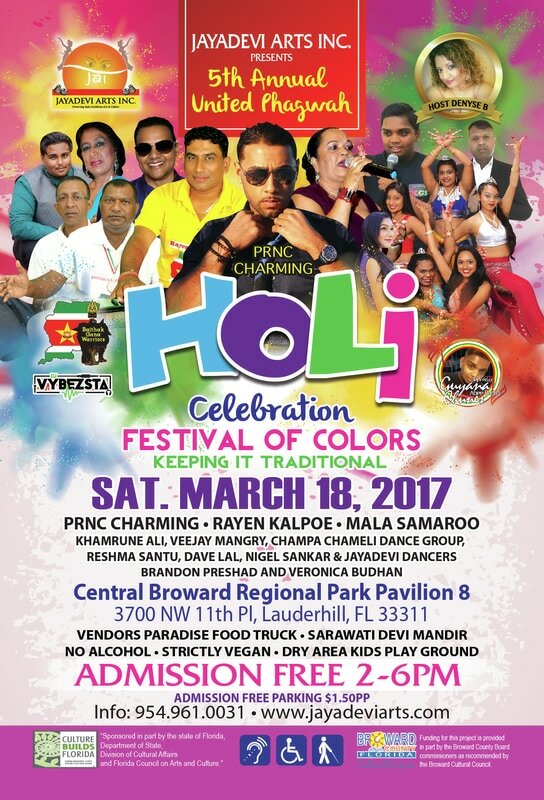 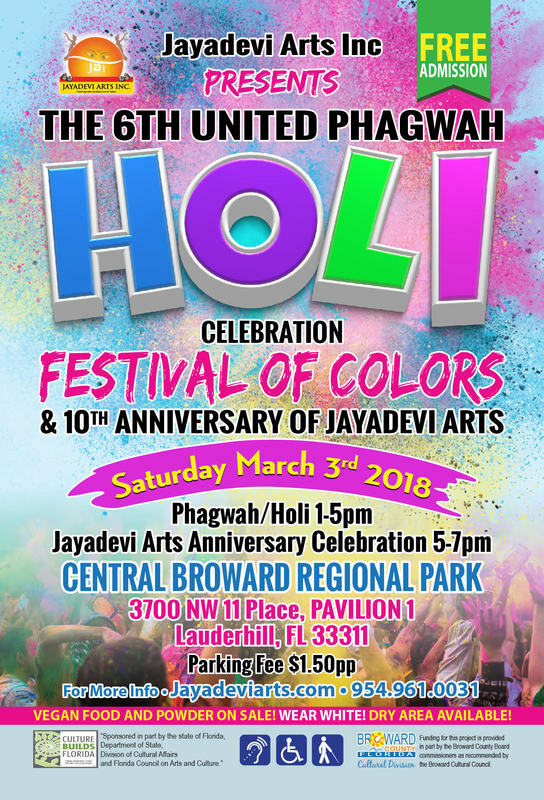 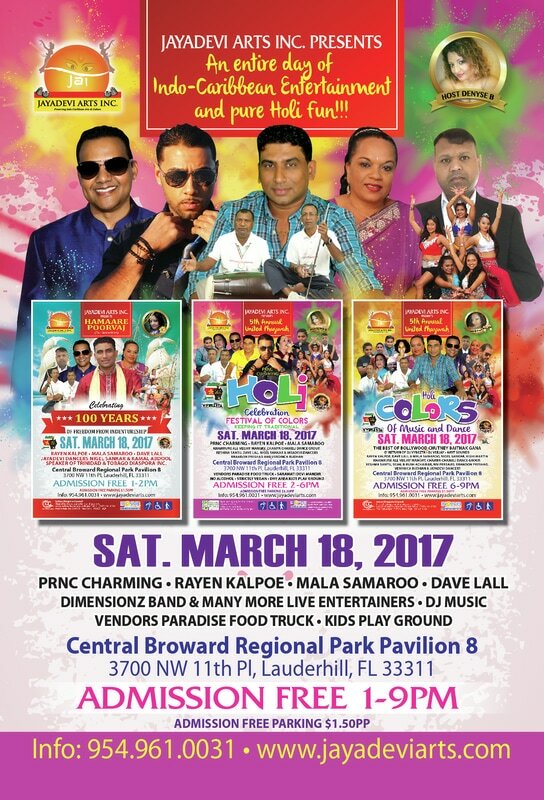 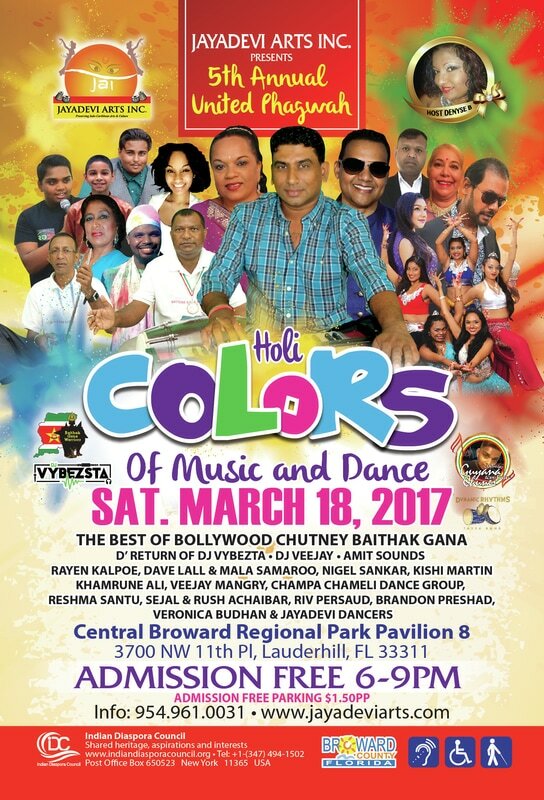 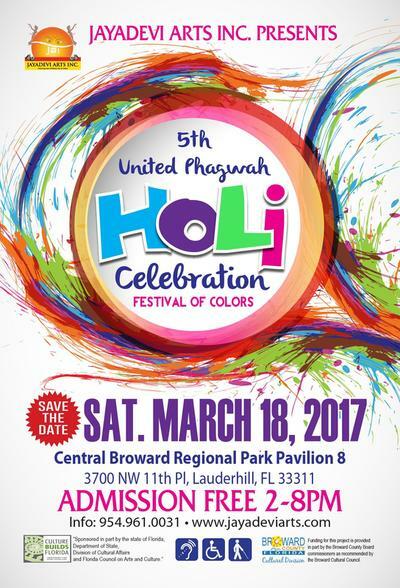 This year's United Phagwah/Holi Celebration is making History!!! 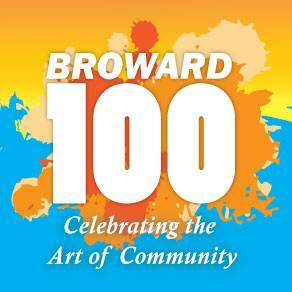 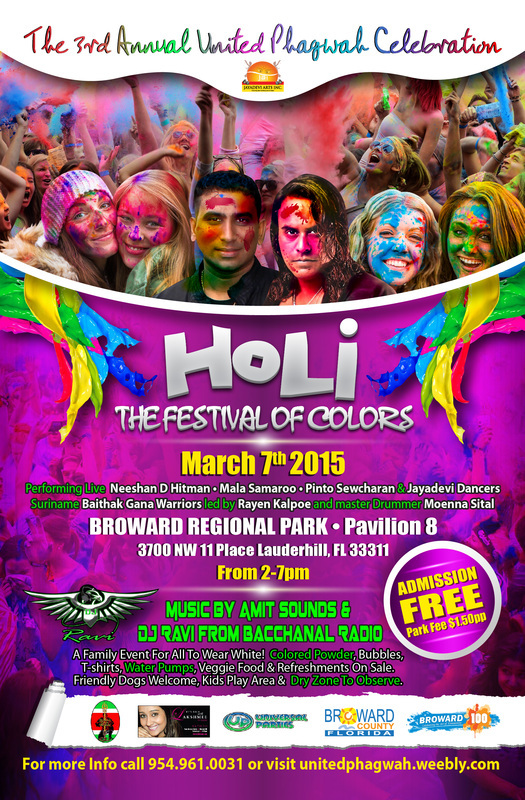 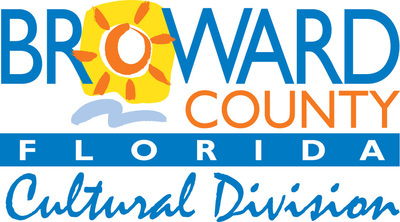 It is the first Festival of Colors Event funded in part by both Florida State and County in North America.